Singapore-based lender ApexPeak has agreed a US$23mn export financing deal with Karu Exporters (Karu), a South African fruit supplier. The deal was arranged via the Aztec Exchange, an online open-access trade receivables marketplace that aims to better serve supply chains in emerging markets. Under the terms of the deal, Karu will receive monthly disbursements in US dollars, euros, Japanese yen and British pounds until the end of 2014. 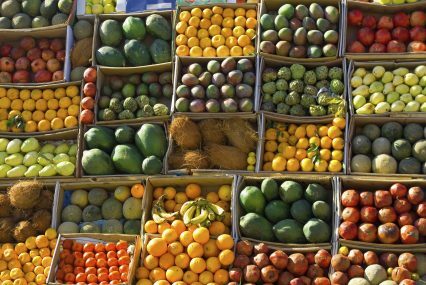 Accounting for over 5% of South Africa’s citrus fruit exports, Karu exports 4.5 million cartons of fruit per year to over 20 countries. The deal enables it to use an early cash advance on its export receivables to purchase the production lease of a large fruit-producing South African farm. “Having access to capital can be a game changer,” he adds. “For some businesses receivables financing is a matter of survival but for others, like Karu, it is used to fund growth and capture market share.” ApexPeak and Aztec Exchange have completed around two-dozen receivables financing transactions since February this year. Aztec’s COO, Oliver Gabbay, says ApexPeak’s ability to provide receivables financing rather than assets gives the lender an advantage. “ApexPeak is an experienced financier of export receivables. Not only does it guarantee the funds are in place, but it understands the risks and documents required to make an export finance deal work,” he says.